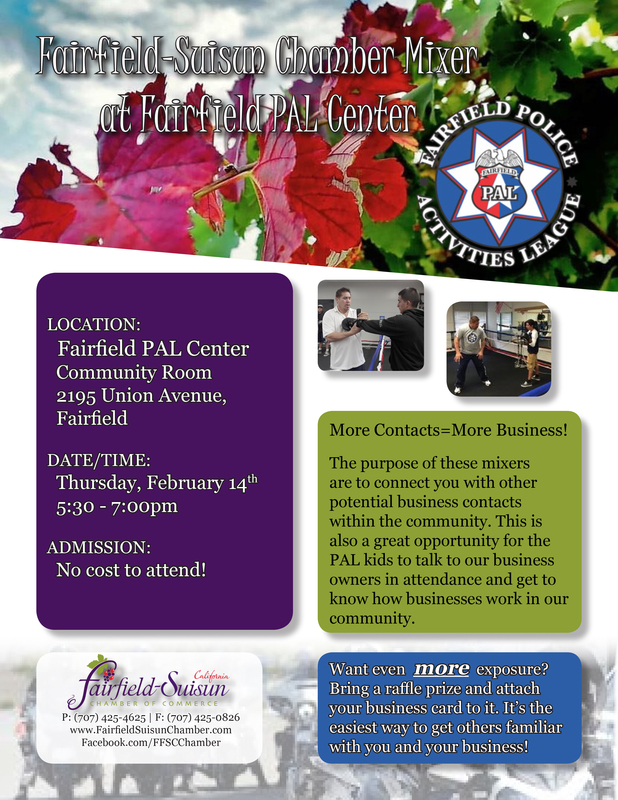 We welcome all members and potential members to join us at the Fairfield PAL Center for the Fairfield-Suisun Chamber's February Mixer! There's lots of networking opportunities, raffles, food and drinks, and fun to be had. This is also a great oppotunity for the PAL kids to talk to our business owners in attendance and educate them on how business works in our community. Come share good times with us!